It then halts until I come back to the machine and select "Overwrite Older". This defeats the purpose of automatic synching. Is there a way to make it always default to Overwrite Older? There is no obvious choice on the "manage folder synchronization", "my options" or "system options" windows to do this. 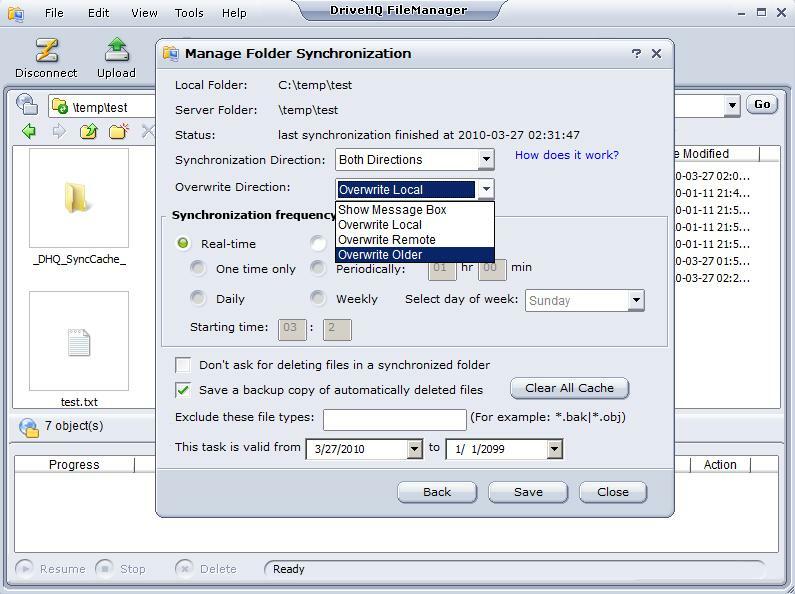 Please make sure you have the latest version DriveHQ FileManager 4.5 build 327 (or future versions). You can click on Tools --> Manage Synchronization to configure the default action; a screenshot is shown below.